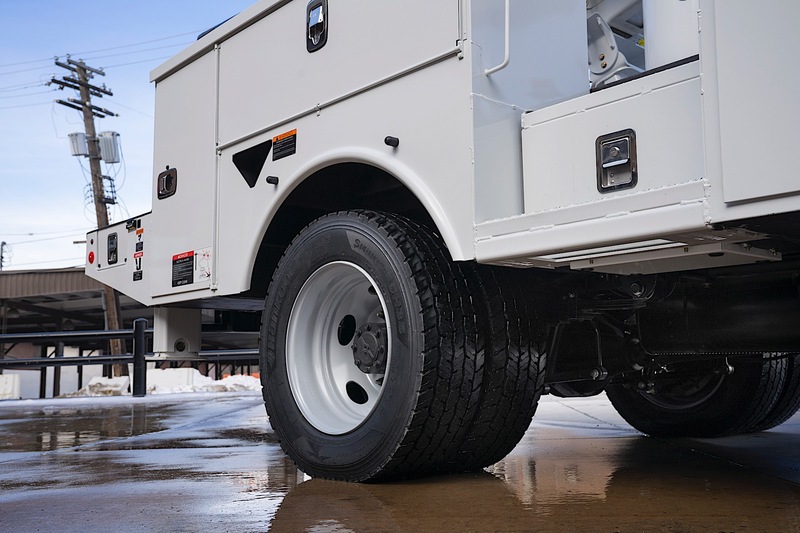 The 22,000-pound GVWR F-600 provides big truck capability in a relatively smaller and easier-to-operate size. Topline: To stay ahead of the competition, Ford is offering a Class 6 capable chassis cab truck in the size of a Class 5 Super Duty chassis cab. This offers more flexibility for owners, giving them more capability than what Ram and Chevy can offer for the size. 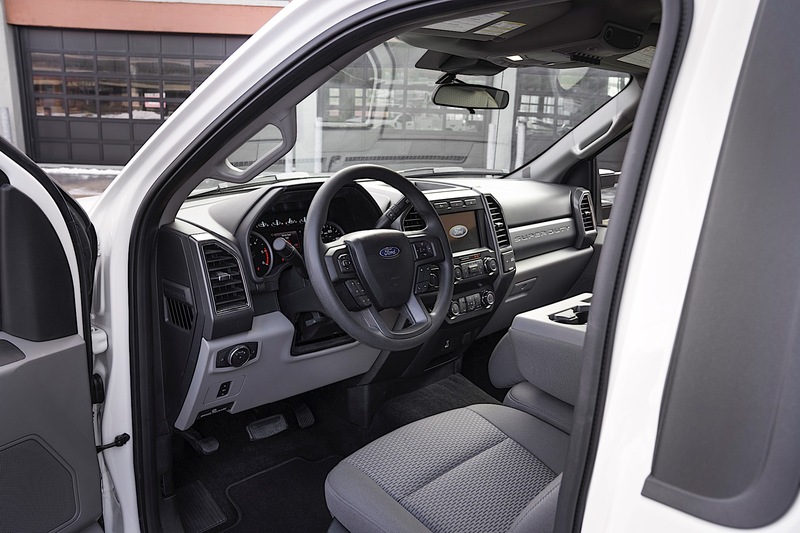 Quotable: “For 34 years, Ford has consistently sold more commercial vehicles every year than any other manufacturer because we listen to our customers then get to work developing the products and technologies they need,” said Mark Buzzell, Ford director of fleet, lease, and remarketing operations. What's New: Everything. The F-600 is a Super Duty chassis cab with a Gross Vehicle Weight Rating (GVWR) of 22,000 pounds. Technically, that GVWR rating means it's a Class 6 truck and would compete with medium duty offerings from Chevrolet and Ford's on F-650. But, it's obtained on a Class 5 size Super Duty. What does all of that mean? Business owners can equip their trucks to do even more work, but still be able to fit in the tight spaces that a smaller truck offers. 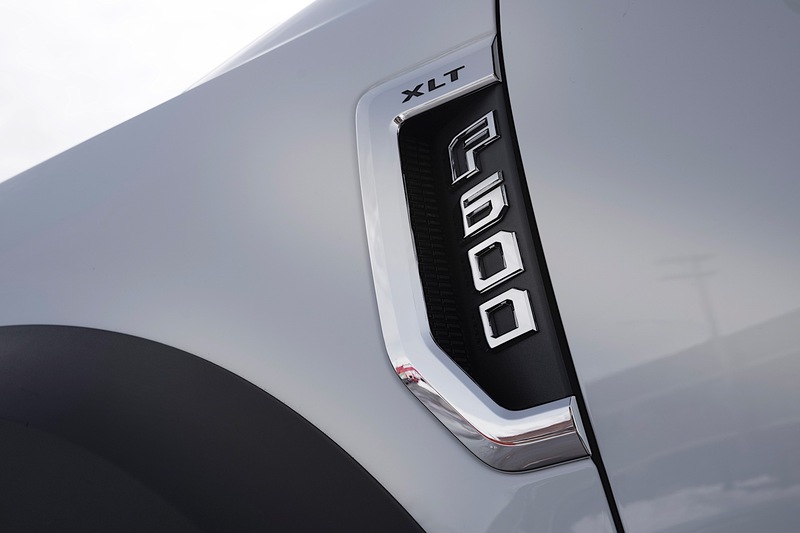 Additionally, the F-600 has Ford's new 7.3-liter big block V-8 to power it. Optionally, buyers can choose an updated version of their 6.7-liter Power Stroke V-8 turbo diesel. Ford hasn't provided power or performance specs yet for either engine, but they do say that the V-8 gas engine makes more power and torque than the outgoing V-10 engine with lower operating costs. 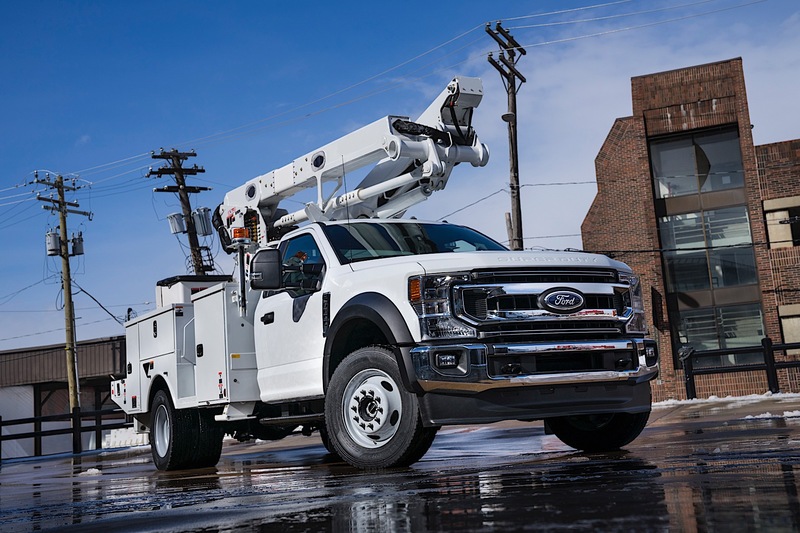 The F-600 should be as easy to drive as any other Super Duty and is available with safety and driver's assist technology to reduce the risk of injury and vehicle downtime due to repairs. One key feature that is standard is autonomous emergency braking with pedestrian detection. Pricing isn't available yet, but those interested in adding it to their fleet will be able to place orders starting in early 2020 for a mid-2020 delivery date. You can see it for yourself at the NTEA Work Truck Show in Indianapolis. Both trucks are experiencing their best sales numbers since 1997. The pickup was made with the help of Georgia based SuperTruck and Wade Ford. What were once spartan work trucks are now advanced, state-of-the-art machines that are more powerful and more capable than ever.